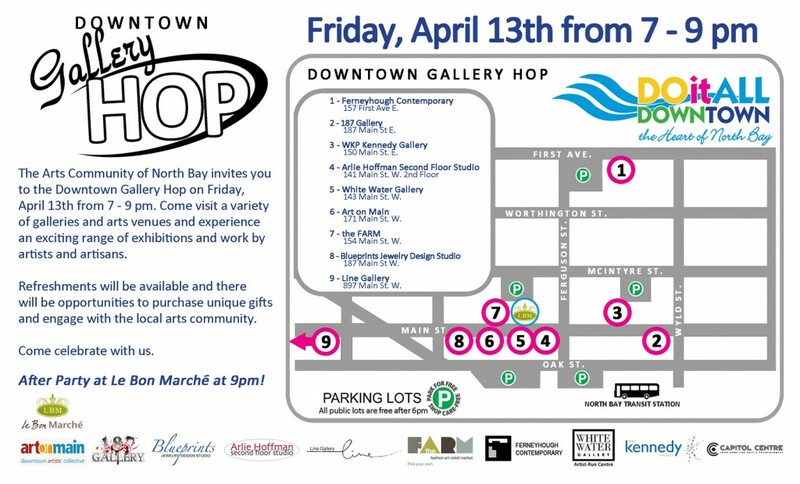 The Downtown Gallery Hop is a community binding event that brings the art spaces of Downtown North Bay together for one night of art celebration. As an added bonus, often artists open their studios to the Hop as a way to allow people to see their workspace and completed or in-progress pieces. The whole thing always ends with a huge party at The Raven and Republic. I hope to see you the next DOWNTOWN Gallery Hop in Downtown North Bay!